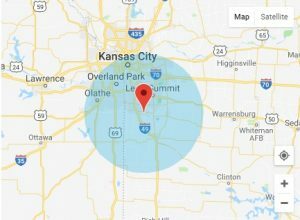 We provide computer services to the southern part of the Kansas City area covering a 25 mile radius in jackson and cass county. These services include in-home computer repair or you can drop off your computer at our computer shop. The service area may grow to meet customer demands so if you are out of the coverage area. Feel free to contact us to setup an appointment. Our technical services cover a range of technical issues including, but not limited to personal computer, cell phones, security cameras, printers, network and internet issues and much more. Whatever issues you may be facing. You are only minutes away from contacting us to see if we can fix your technical issues. Please select the area of your residence below if available and fill out the contact form at the top of the page. This will help us filter locations and give you a more precise time when we can get to you during our peak times of the day. If your area is not listed be sure to let us know your area and if there is enough interest. We may add your location in the near future.